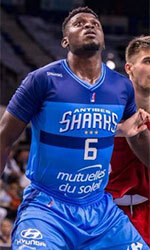 Sharks Antibes (ProA) tabbed 27-year old Beninese power forward Mouphtaou Yarou (204-116kg-90, college: Villanova). He has played for the last three years at Le Mans Sarthe Basket in the ProA. In 30 games he averaged 6.0ppg and 5.6rpg last season. Yarou helped them to make it to the cup final. He also played 16 games in Basketball Champions League where he had 8.3ppg and 5.6rpg. Among other achievements his team won French Cup in 2016. Yarou received also Eurobasket.com All-French ProA 2nd Team award in 2016. 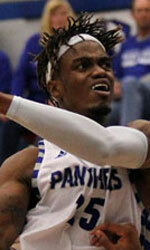 Yarou attended Villanova University until 2013 and it will be his fifth season in pro basketball. Let's have closer look into His outlook: A gifted forward with a throwback approach to the game ... Is an effective post-up performer and relentless rebounder ... Possesses an uncanny feel for the sport. Good hands and shooting touch.